. The Holding | Book Club Guide . 1. Margaret MacBayne and Alyson Thomson live on the same piece of land, a hundred and thirty years apart. In what ways is their relationship to the natural world the same? How does it differ? 2. In the course of the novel, Alyson comes to terms with the death of her father and her mother’s complicity in that event. What aspects of her own past does Margaret reclaim? 3. Walker at first glance is an unlovable character: secretive, controlling, brilliant but self-absorbed. What is it about him that attracts Alyson? By the end of the book, do the revelations about his past make him a more sympathetic character? 4. During the storm at sea, Margaret remains calm, though “caution installs itself in some deep place from whence it can reach out to touch the heart in unsuspected ways.” How does this reserve eventually make itself known, both in Margaret’s life and in Alyson’s? 5. 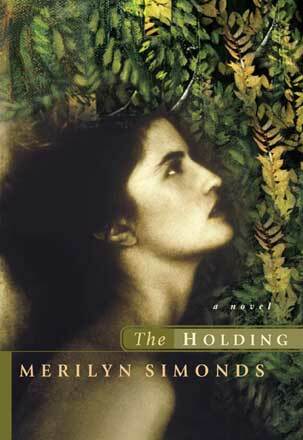 The Holding tells three stories: the italicized story that is written in the back of the cookery book; the longer version of Margaret’s story; and Alyson’s story. Who is the narrator in each case? 6. In both the old story and the new, the characters have moved to Hopefield Road from somewhere else. Discuss the nature of migration as revealed through Margaret and Alyson – its motivations, its expectations, its prospects for success. 7. The ‘holding’ of the title has multiple meanings. Discuss how they relate to the themes of the book. 8. At the end of the novel, Alyson realizes the story she has concocted around Margaret’s brief tale is false. What made her think that Margaret had murdered her brothers? What is the effect of learning the truth? 9. In the novel, the garden is a central metaphor. Both Alyson and Margaret find solace and strength in their gardens, yet their gardens are also another doomed attempt at control. Discuss. 10. The structure of the book is an interlace of two stories from vastly different times. Does this technique make the two stories difficult to follow? What was gained by alternating past and present? It has often struck me as I garden, what a distinctly human pastime it is, this effort to reshape nature – to control the soil, the weather, even certain species of plants – in order to produce the food I want to eat and the surroundings I personally find beautiful. Gardeners soon learn the futility of control, yet we persist in planting sun-loving flowers in full shade, bog trees in a sandy meadow, shrubs that are guaranteed to bloom in some garden miles to the south of our own. The same urge to control that produces a garden is also visible in human relations – the desire to make of others what we want them to be, the refusal to acknowledge the subtle wonders of what they are. The past can never be fully known. It comes to us in bits and pieces. Even if we manage to recreate a nearly perfect representation of the past, it is only one view of events, an interpretation filtered through a particular set of thoughts, beliefs, and recollections. The past can’t be retrieved in its entirety, but neither can it be blocked out. The present is forever ripe with faintly remembered smells and sounds, fragments of images, unconcious motivations, snags of old feelings and impressions that, so long as they remain unacknowledged, can neither be discarded nor embraced. Not only do individuals struggle to find a proper place for the past in the present. Society, too, has its baggage, a history to sort through and reclaim. The things we keep to ourselves define us, in a way – what we choose to hold private and how we guard those unrevealed aspects of ourselves are fundamental to a person’s character. But curiosity is also basic to human nature. What is hidden fascinates us, more than what can be seen. Present us with a closed door and we won’t rest until we’ve seen what is on the other side. The desire to know and the urge to remain unknown is a potent source of conflict in intimate relationships. Sharing a secret can be a bond between two people, or the wedge that drives them apart.